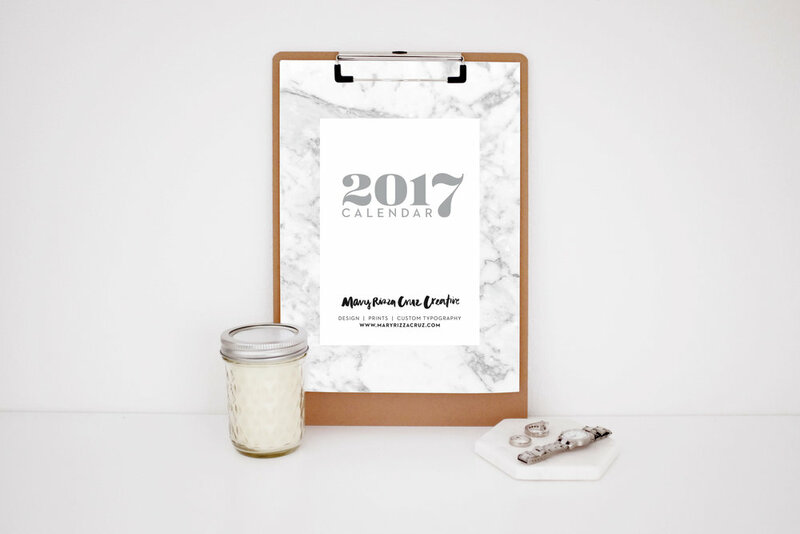 This marble twelve month calendar (one per page) and is available as a PDF which you can download and print as many times are you like! The calendar is set to A5. Please Note: This calendar is for personal use only and is not to be reproduced, sold or distributed for any other use. This 2016 Christmas Wrapping Paper is available as a PDF which you can download and print as many times are you like! The wrapping paper is set to A3. Please Note: This wrapping paper is for personal use only and is not to be reproduced, sold or distributed for any other use. The 2017 yearly calendar is a PDF which you can download and print as many times are you like! The calendar is set to A3 but you can be resize to print at A5 and A4 if needed.